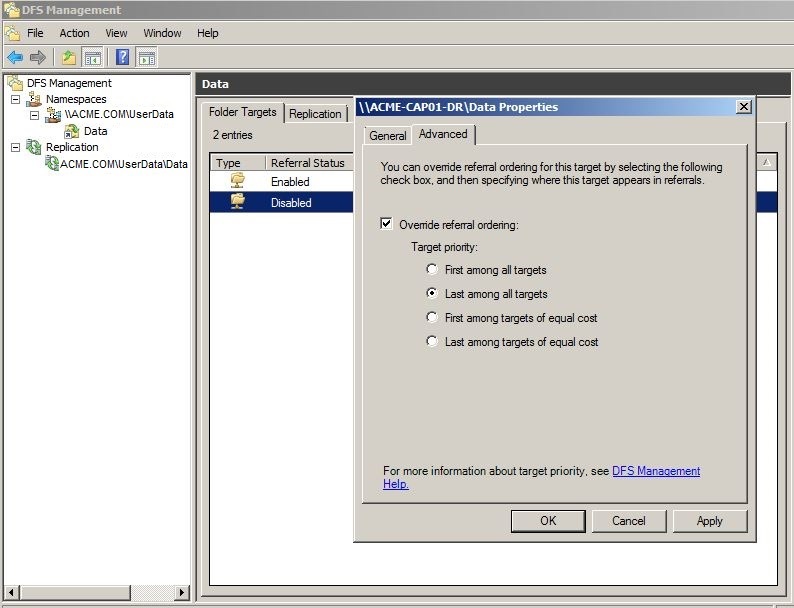 Removing Internal Connectors from Virtual Machine Manager. 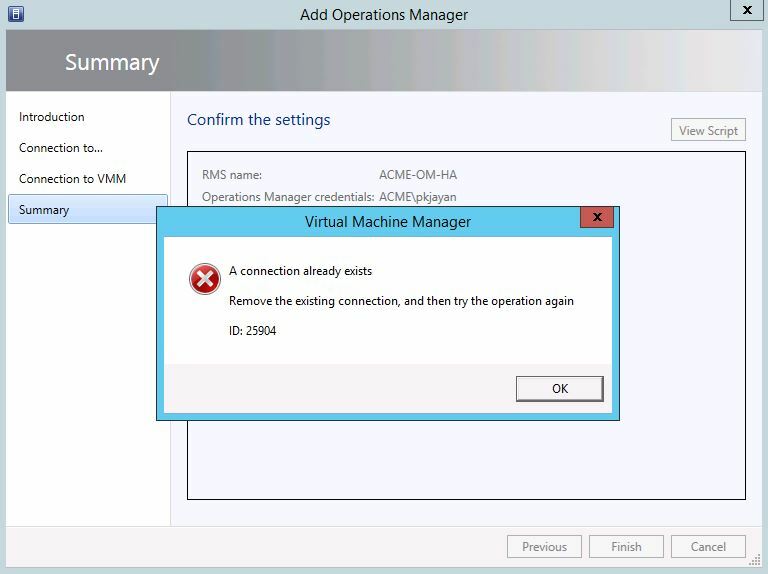 While configuring PRO (Performance and Resource Optimization) in Virtual Machine Manager 2012 R2, I encountered and error saying that “A connection already exists”. I was not surprised as I had already tried creating an Operations Manager connector and ended up with a faulty connector. 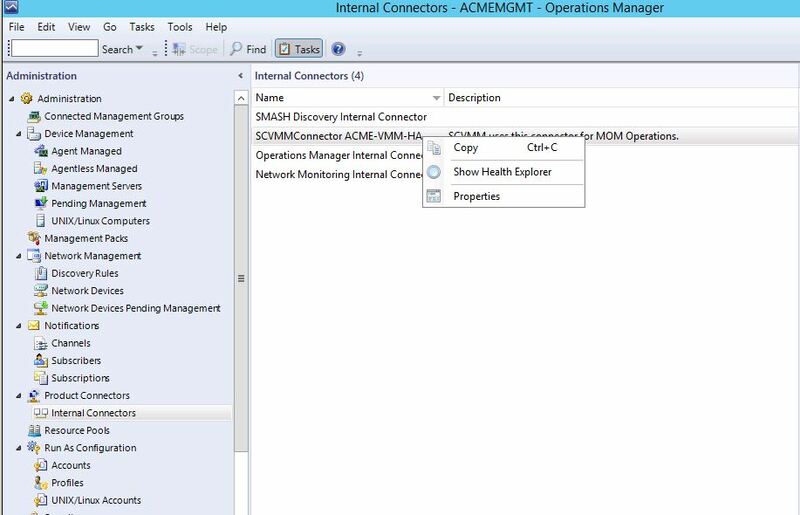 Removing Unused Internal Connectors from Operations Manager. 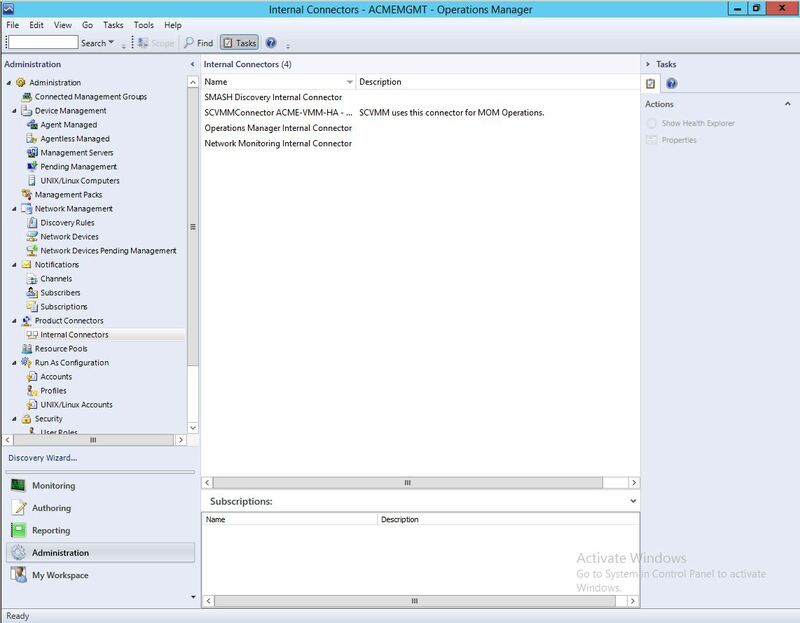 Open Operations Manager console and select Internal Connectors from Administration section. A list of all the connectors configured in Operations Manager console is displayed there. Unlike the other configurations, there is no simple option to remove a connector once installed. The graphical user interface does not provide option to remove. 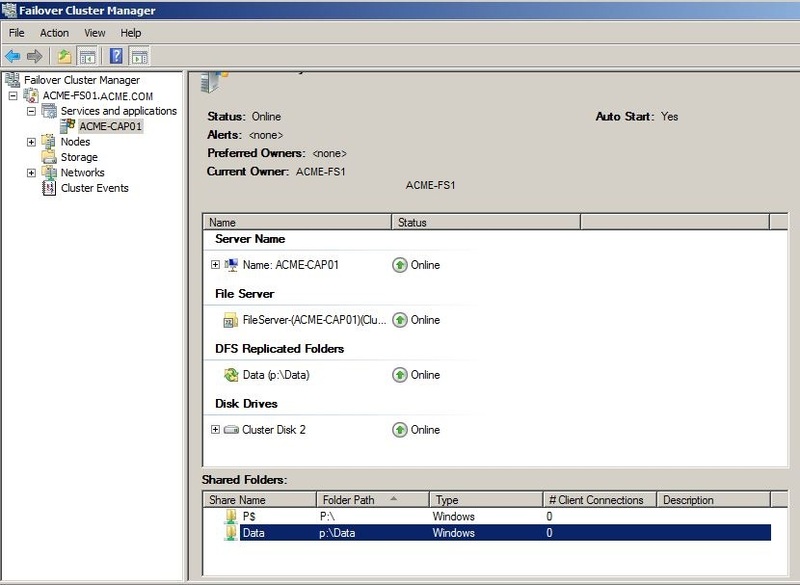 The only alternate option is to remove the connectors from Operations Manager Database. Please note that there is no officially supported way to remove an old connector, this process is demonstrated here for example purpose only. These steps are captured from MS newsgroup posting. 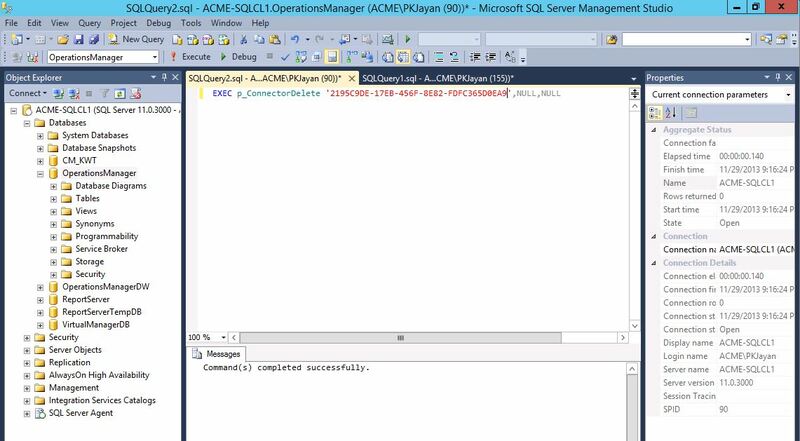 Before proceeding to Operations Manager Database, make sure that all the subscriptions from the connector you wish to remove are deleted. 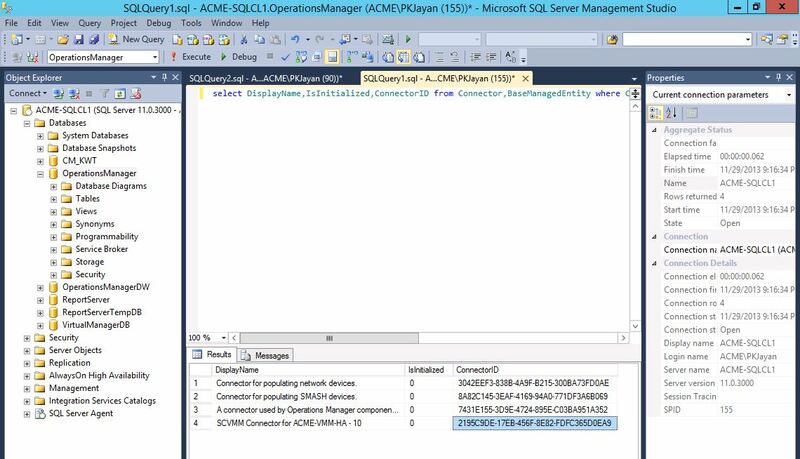 This will return 3 Columns: The Display Name, Initialized Flag, and ConnectorID. Make sure that the Connector is uninitialized. If the IsInitialized is 1, then use following command to uninitialized the connector otherwise skip the below step and proceed to delete connector. Find the ConnectorID of the connector you want to remove. Copy the ConnectorID it to Notepad for safekeeping. And then use the p_ConnectorDelete command to delete the connector. 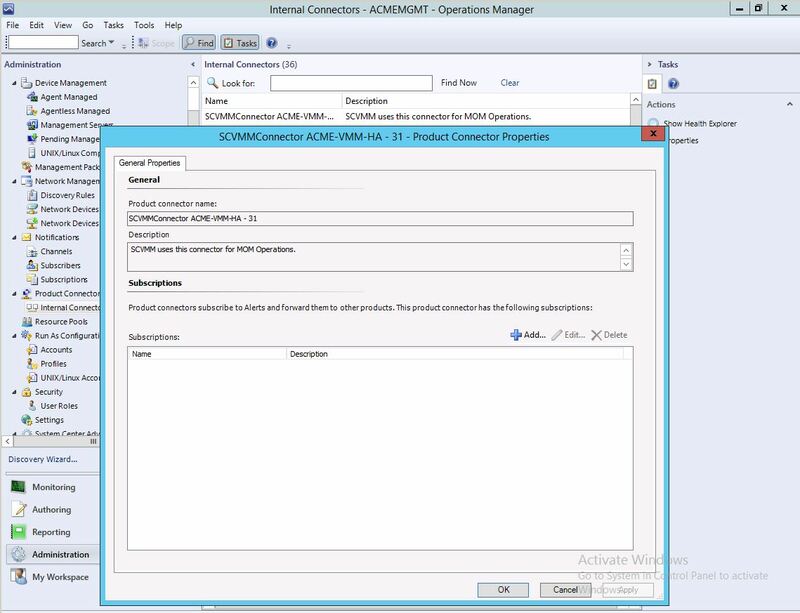 Go back to Operations Manager console and select Internal Connectors from Administration section, refresh the screen and notice that information about the removed connector is disappeared from the list. Repeat this process if you deleted multiple connectors.